The conflict in northern Uganda has shattered the lives of many. Joseph Kony, wanted for war crimes by the International Criminal Court, continues to evade capture while his ragtag group of fighters, known as the "Lord's Resistance Army," easily slips over borders killing, mutilating and abducting at will. 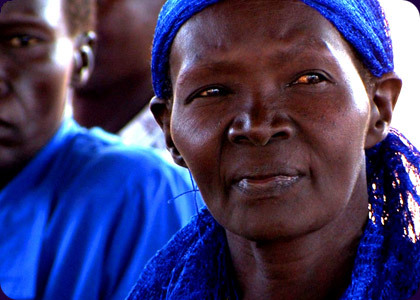 In efforts to capture Kony, the Ugandan military ordered more than 1.4 million people off their land and into camps for "Internally Displaced People." For women and girls caught in the middle of the conflict, the road to reconstruction is particularly difficult. This film, narrated by Oprah Winfrey, is an intimate look into the lives of some of these brave women, exposing the difficulties they face and revealing a remarkable organization that is helping to rebuild their lives. Christopher Jenkins has been behind the lens of several award-winning films including Sierra Leone's Refugee All Stars, The Matador and Riverwebs. His work has aired on PBS, A&E, Discovery, The History Channel, Travel Channel and The Sundance Channel. Chris received a master's degree in documentary film and video production from Stanford University and currently teaches environmental media production in the film and media studies department at UC Santa Barbara. Chris has also worked with deaf Sudanese refugees in East Africa and orphaned children in southern Chile.